The special feature of the CliP Partial Prosthesis Dresden is its spring-loaded fastening mechanism: The CliP standardises coupling to the stapes head. 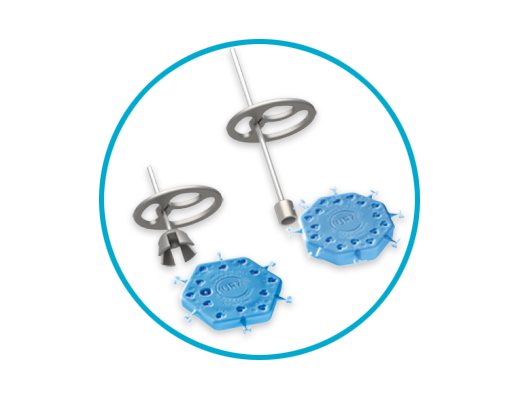 The TTP-VARIAC System provides variability that is unique throughout the world: It is comprised of two adjustable-length titanium prostheses. 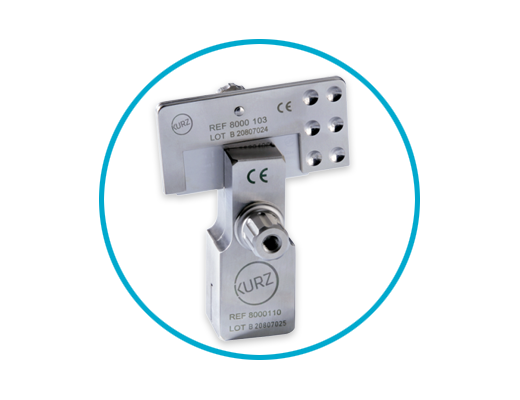 The Omega Connector is designed to compensate for tympanic membrane movements and provide additional stability to KURZ Total Prostheses. The TTP-Tuebingen has already been used successfully in tympanoplasty for several decades. 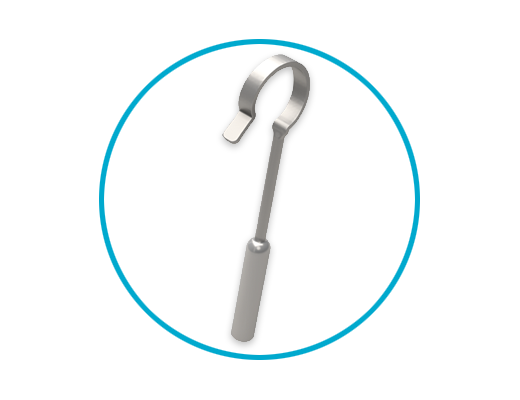 As opposed to conventional KURZ CliP prostheses, the NiTiFLEX has a loop made of superelastic nitinol which considerably reduces the attachment force. 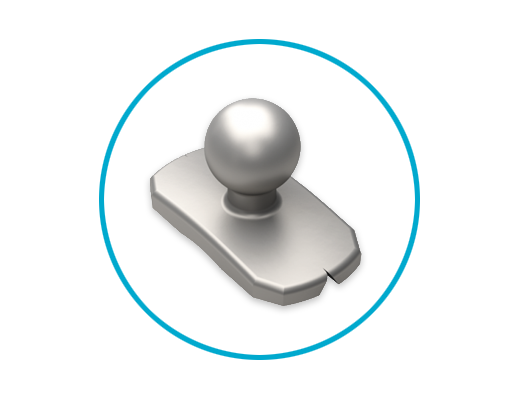 The CliP Piston Àwengen is a titanium stapes prosthesis with a CliP that standardises the attachment to the incus. 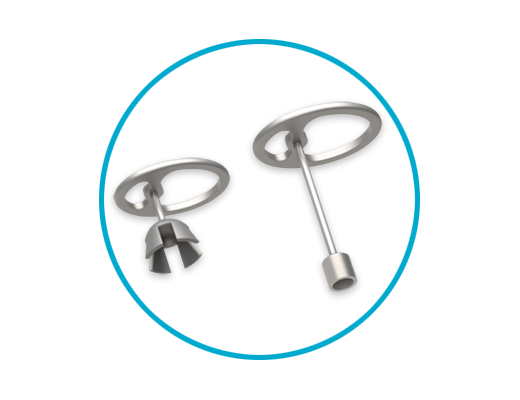 One of the most commonly used KURZ Stapes Prosthesis in the world is the K-Piston. 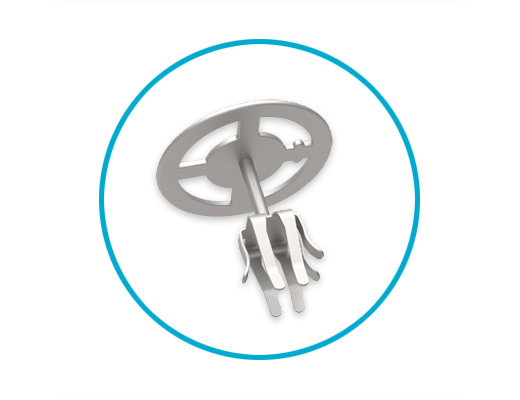 Its tested design has set standards for the development of many other generations of stapes prostheses. 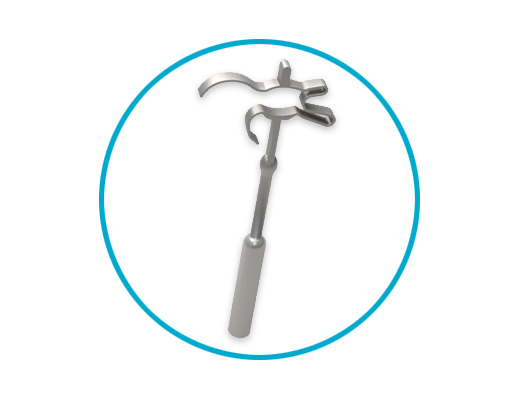 Facilitates the cutting of consistently thin cartilage slices, as required for occluding tympanic membrane defects, covering tympanoplasty prostheses, or for posterior auditory canal wall reconstruction.